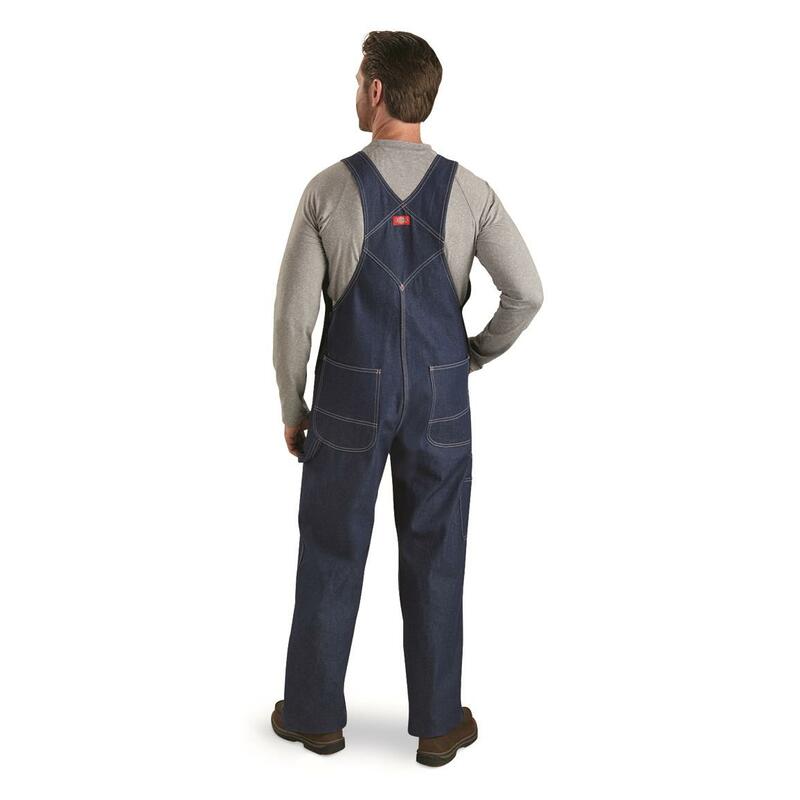 There's no job too tough for these Dickies Men's Indigo Bib Overalls. This set of overalls is made of the finest quality 100% cotton denim. The seams are triple-stitched for maximum strength and durability, and the suspenders are adjustable for comfort. The overalls contain several pockets for gear and tools. There is the traditional large bib pocket, a watch pocket, as well as a double-tool pocket and hammer loop. For added security, the set features a zipper fly and button waist. This strong set of overalls is easy washed and dried after a hard day's work by machine. Get your work done when you order this set today! 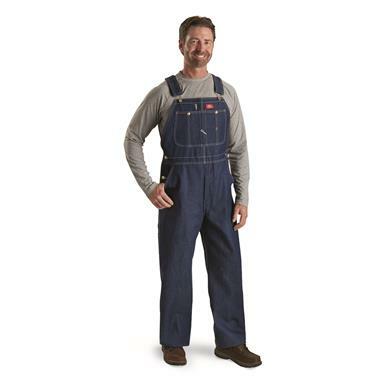 Dickies Mens Indigo Bib Overalls is rated 4.5 out of 5 by 525. Rated 5 out of 5 by the_houses from Bib Coveralls don't stop there Dickies is great!!! 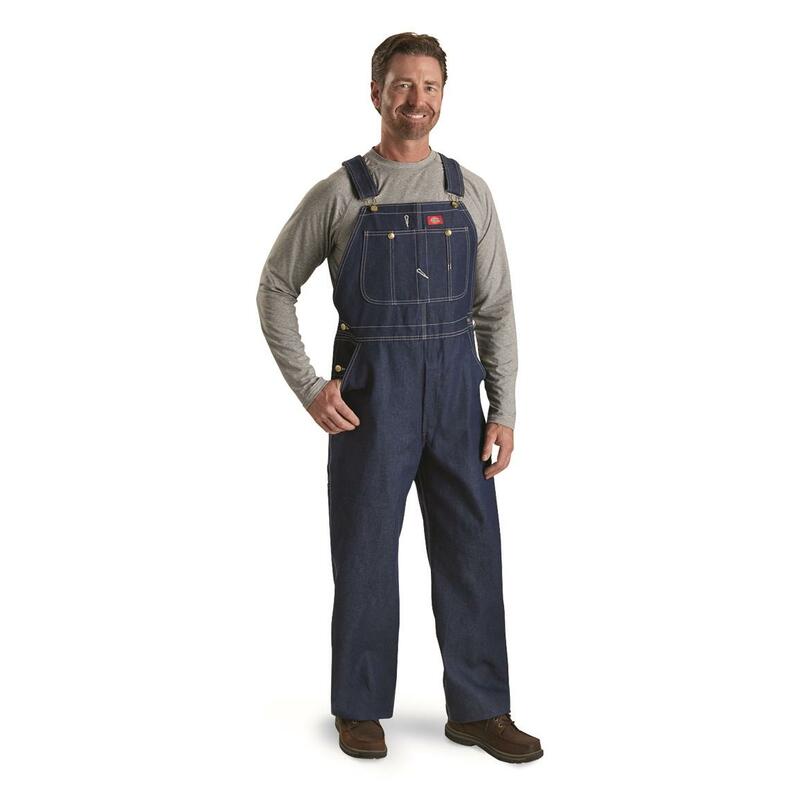 Ordered these for my husband who loves his coveralls. They wash up great ==dry fast without being stiff. He loves them so I also ordered other gear. Rated 4 out of 5 by Ozthegreat from Good but..... The prices are great and the order to delivery time was quick. But, the zipper, on the delivered pair, was defective. We didn't discover this till after they were washed. We're hope they will allow an exchange. Rated 4 out of 5 by erc1 from good comfortable. Length has to adjusted. I ordered my insea, length but they were about 2 inches too long. Rated 5 out of 5 by Steve Sr from Extremely Comfortable I am Disabled and these pants accolade my swollen legs extremely well. Rated 5 out of 5 by stef226343 from great buy these fit great and will hold up. i have worn them ten times and it is for all day work outside - gardening, woodworking, lawn care. really comfortable. in between the two buttons on the side provide a great place to thread your headphone wire through, and down into the main pocket for an ipod or mp3 player.